I have spent the better part of the past week working in my garden and flower beds. The spring was very wet and some of the seeds successfully planted did not successfully germinate. The weather turned cool and wet after planting and I am sure the poor little seeds rotted in the ground. A hard crust formed on the soil due to pounding rains and this hampered seed growth as well. My garden paradise needed some TLC and quick, in order to secure our food supply. We are lucky to have a wonderful silty loam garden. It sits on a plain next to a creek and generally provides more than enough vegetables to feed us for months. It also provides food for the spirit. I love to work in the garden; most of the time. I love to look at the flowers in the garden all of the time! I plant giant Zinnias that are rich in color and stand 3-4 feet tall. Red, yellow, orange, white, red wine, lime, salmon, pink, and peppermint blend together to provide an aesthetically breathtaking palette of colors that draws me to the garden, as well as, total strangers, hummingbirds and butterflies. While I was working this week a fellow passing by on a bicycle stopped and asked me to please make sure I got the flowers planted because it was the highlight of his daily trip to stop, take a break, and enjoy my beautiful flowers before turning around and heading home. As with most gardens, the hope is that it will be in constant production year after year. This means we need to feed our gardens so they can in turn feed us. Soil depletion is something to consider each year. There are a few ways to feed the soil and you can take your pick as to how you want to add nutrients. I try to work with nature to provide what it needs as much as possible. Last fall we seeded annual rye grass in the garden before we put it to bed for the winter. This spring we tilled the grass under to create what is called “green manure”. Everyone recognizes the benefits of animal manure in the garden and flower bed, but many do not realize the benefit of plant material to enrich the soil. As the plant material decomposes it releases nutrients to the soil and provides organic matter to enrich the tilth. Another common soil enrichment is compost. Composting is a process in which yard and garden waste is collected so that it can break down into soil over time. You add the compost to the soil and till in to provide added nutrients for your plants. Good compost requires both green and brown contributions. A few years ago our local recycling organization was offering a composting class at our county fair and giving away a free kitchen compost container to participants. I dragged my son and my husband to the class and registered to win a yard composter. My son ended up winning the composter and it became his 4H recycling project for the next year. We collect vegetable waste from our kitchen, and yard waste throughout the year and add to the composter. All it needs is an occasional stir and some moisture to help the organic material break down into usable compost. My chickens are jealous now they must share with the composter, but my plants are happy. 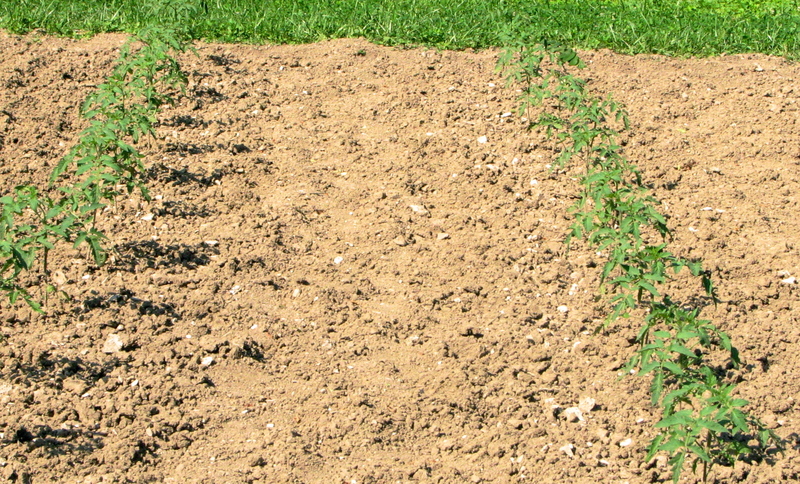 Worm castings are a relatively new item used as fertilizer. Harris Seed Company now grows worms with the intent of selling their castings (nice word for worm poop) to gardeners. According to their research the castings do a great job feeding plants. This year’s 4H recycling project for my son is growing “red wigglers” and harvesting the castings. I have a few nephews that love to fish and they assure me I can sell the worms too as they make great fish bait! We began our project in March with a large plastic container, 6-10 inches of shredded newspapers and a couple pounds of purchased worms. You keep the worms in a cool place and feed them about once a week with kitchen scraps. In the beginning we had to mist the paper with water each week to add moisture, but now the worms are established they create enough moisture themselves. After about 2 months all but about 2 inches of the shredded newspaper is gone and the soil level is growing. They suggest a harvest about every 3 months so we are getting close to our first harvest. I will update you at that time with the results. Yet another soil additive is commercial fertilizer. If you are a naturalist this may be an offensive solution to feeding your plants, but if used properly and prudently, is quite beneficial to your harvest. You can purchase this at any garden store; just make sure it is a relatively mild formulation (12-12-12) so it doesn’t burn the young plant roots. Check the label for the distribution rate. You might want to check with your local extension agent to help you determine what soil type you have and how much fertilizer is required if you are not familiar with these things. There are several nutrients that soil needs in order to feed plants and a soil test will determine the state of your soil and what if anything needs to be added back. I am lucky to have a soil scientist for a husband so I just ask him to handle the garden feeding regime each season. It is also important to till the soil around young seedlings and transplants. 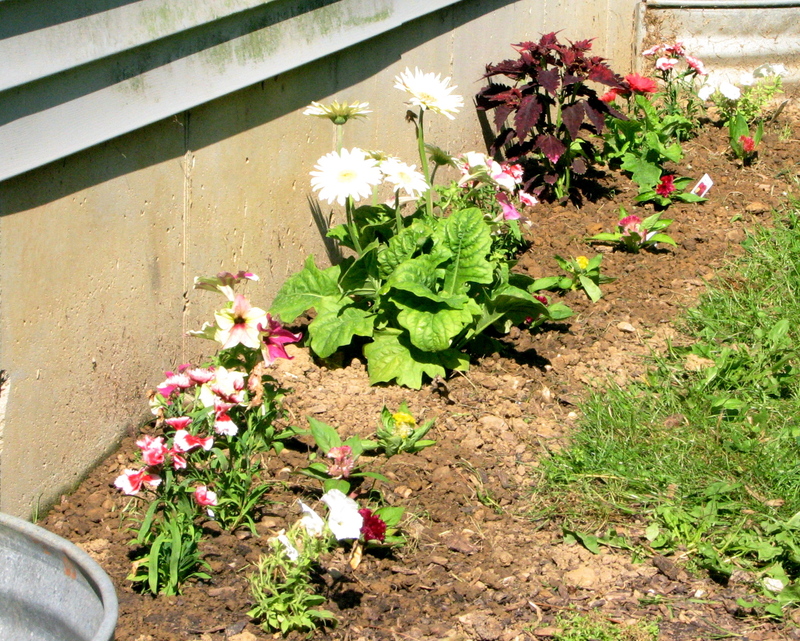 Weeds will outgrow most garden plants and out-compete them for nutrients, moisture, and sunshine. Keep the weeds out of the garden and your plants will repay you with vigorous growth, health, and productivity. I rototill between the rows and then come back with a hoe to weed and loosen soil around plant stems over the course of the growing season. It is amazing how fast plants grow after cultivation! You will need to continue to weed throughout the growing season as new weed seeds continue to germinate. If weeds do establish themselves try to remove before they develop seed heads or you in essence plant weeds. One last thing…check your plants frequently. Weeds and compact soils are not the only things that kill plants. Insect pests can kill plants within a few days by defoliating or transmitting diseases. I check my garden nearly every day to ensure I stay on top of developments. Hope these tips will help you enjoy the garden! This entry was posted in gardening and tagged compost, flower beds, soil management, tilling the soil. Bookmark the permalink. Yesterday, while I was at work, my cousin stole my iphone and tested to see if it can survive a 25 foot drop, just so she can be a youtube sensation. My apple ipad is now broken and she has 83 views. I know this is totally off topic but I had to share it with someone! I was wondering if you ever thought of changing the structure of your site? Its very well written; I love what youve got to say. But maybe you could a little more in the way of content so people could connect with it better. Youve got an awful lot of text for only having 1 or two images. Maybe you could space it out better?